The best thing about Amanda Foody’s debut lies in the title itself. 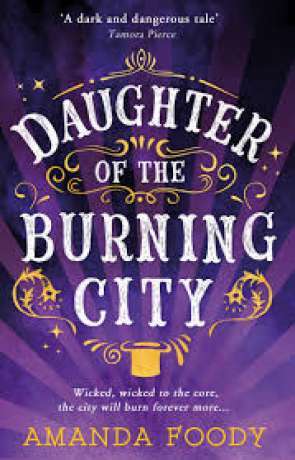 Her ‘Burning City’ is an immersive, sensory experience that rivets from the very first page. The smoke from her traveling circus wafts off the page, the dirt and ash from the trodden ground almost tangible on the tongue. The ‘freaks’ that adorn the main stage of her Gomorrah Festival are so gaudy and rich that no space is left in the imagination for error. It’s an engulfing and curious experience. Written on 20th November 2017 by Alice Wybrew.